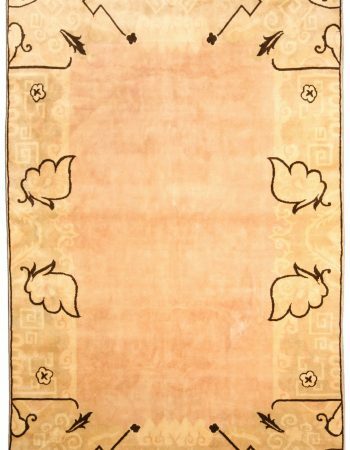 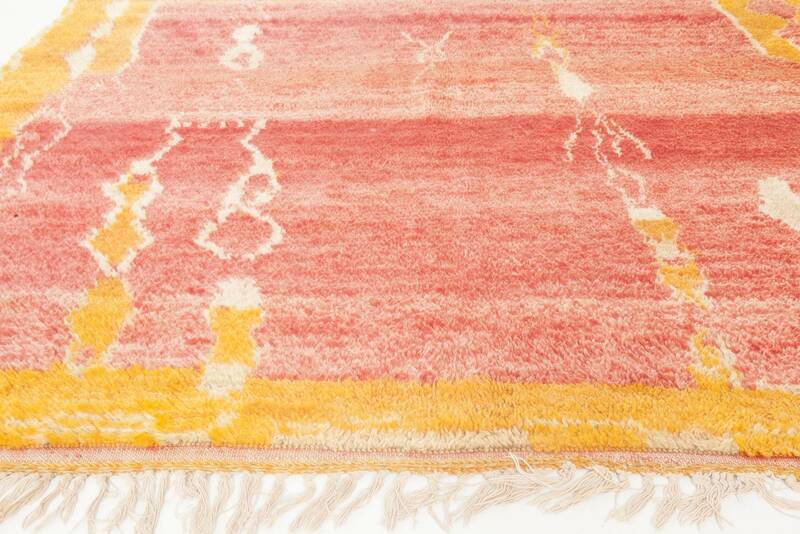 Home > Shop > Vintage Rugs > Moroccan Rugs > Vintage Moroccan Rug. 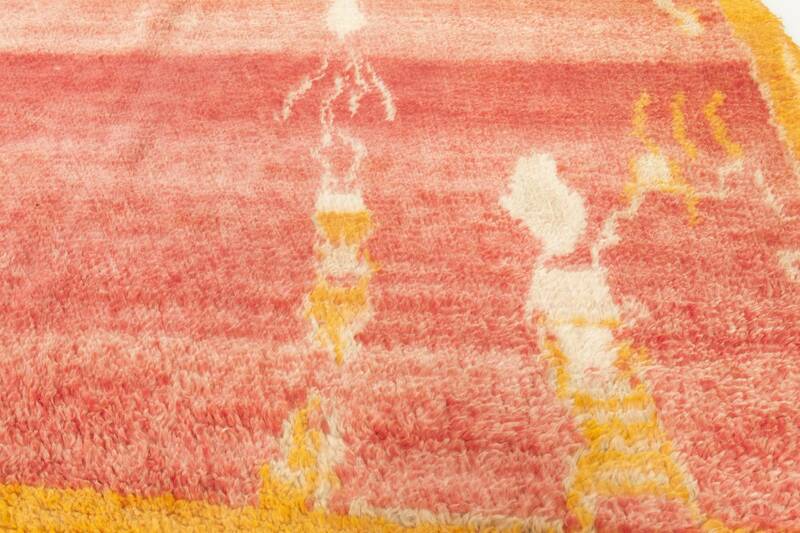 A vintage 1950’s Moroccan pile rug. 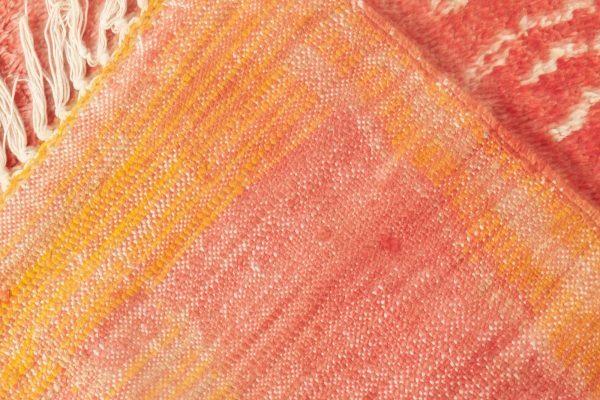 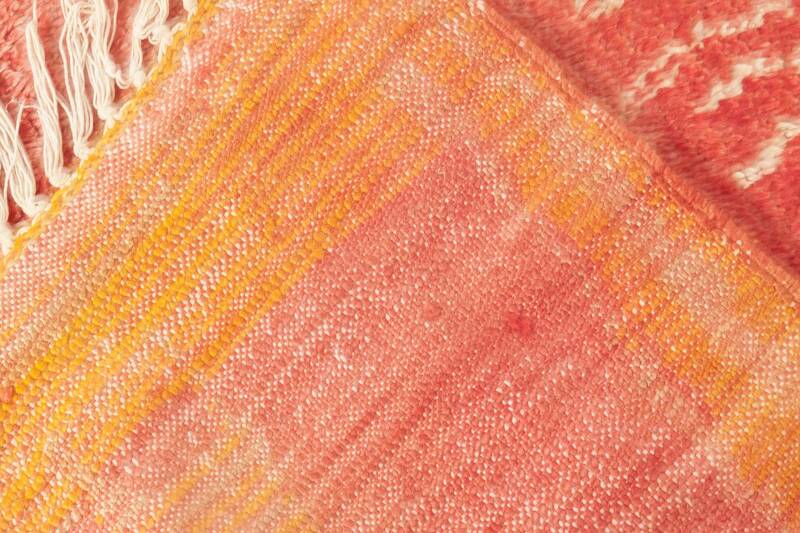 It was hand-woven on a house loom in accordance to weaving techniques reaching back to middle ages. 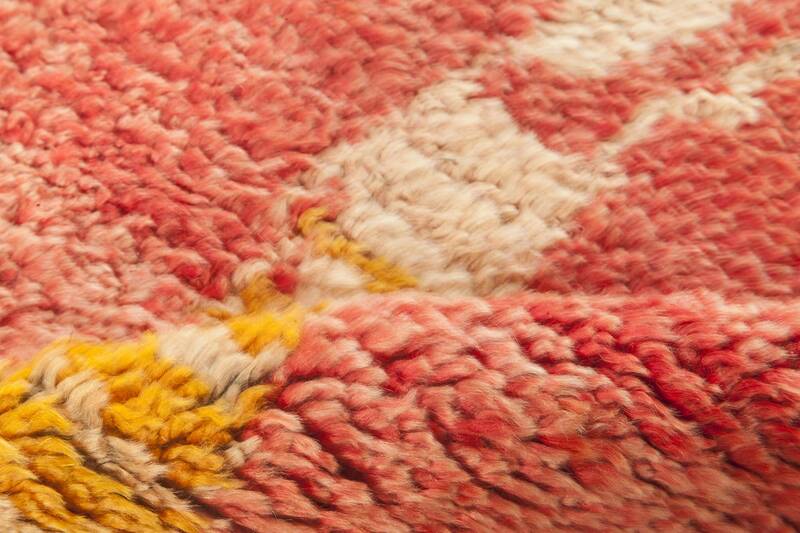 The content is lambswool. 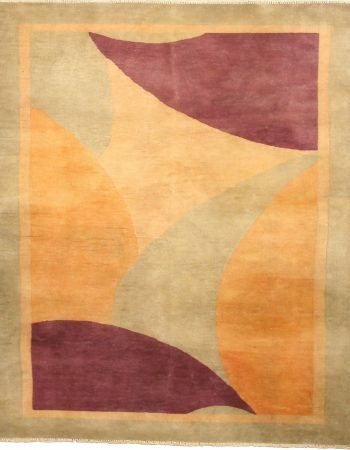 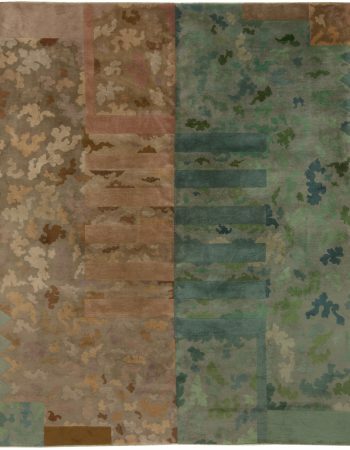 The rich palette and classic mid-century Moroccan design could turn this rug into the focal point of a contemporary abode. 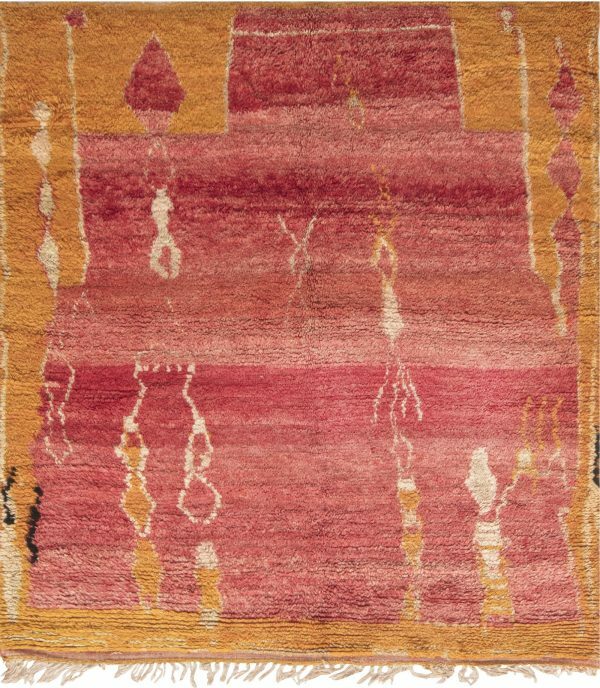 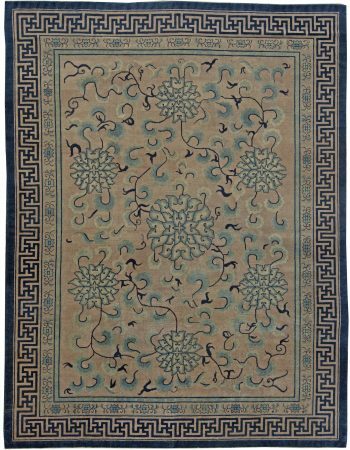 This vintage Moroccan rug beautifully combines ethnic art with minimalist aesthetics, worthy of the 20th-century Modernists. 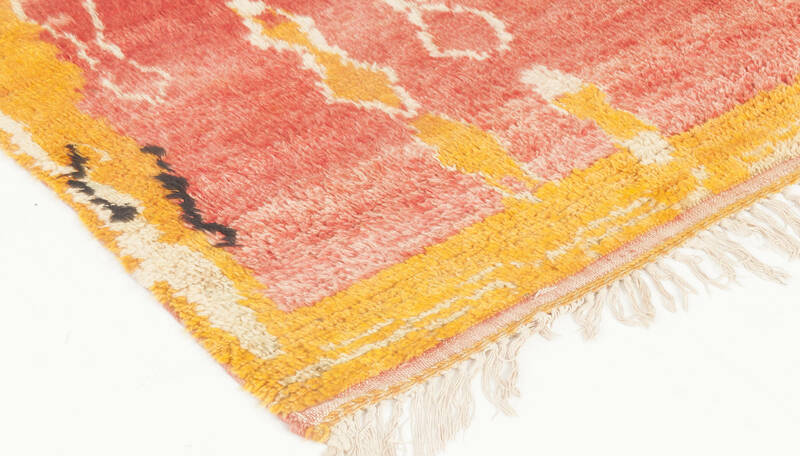 Its face carries a simple yet extremely heartwarming tribal design, characteristic of Beni Ourain tribes inhabiting the Rif Mountains near Taza, executed in a vibrant and energizing color palette of carmine and orange with subtle touches of off-white and brown. 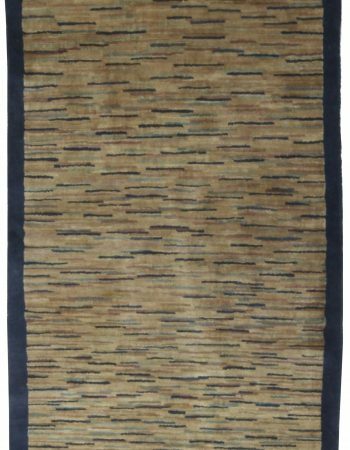 Everything is finished with an ivory fringe that adds even more charm to this effortlessly elegant composition. The vintage rug was carefully hand-knotted of the finest lambswool which contributed to its durability as well as the remarkable quality of the shaggy pile. 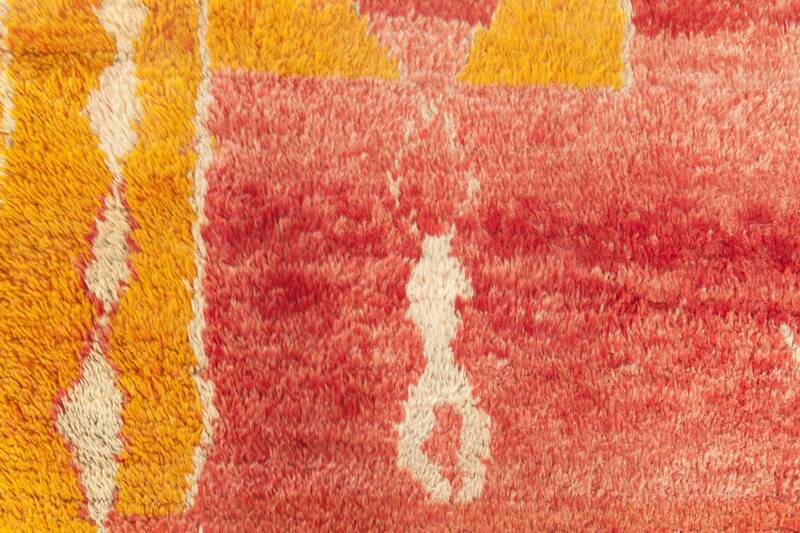 If properly maintained, this piece of Moroccan art will withstand years of usage without any signs of blemish.